Soooz Says Stuff: Become a Flasher! New Year...New Contest. Become a Flasher! New Year...New Contest. Let's get 2016 off to a flying start! Welcome everyone to Soooz Says Stuff 2016. I thought it would be fun to start of the New Year with a Flash Fiction Contest; based on the following picture. Take a break from your hectic schedules and join in the fun. The Prize : Feature your choice of your work, here on my blog for three consecutive days. Word Count: 500 or less. 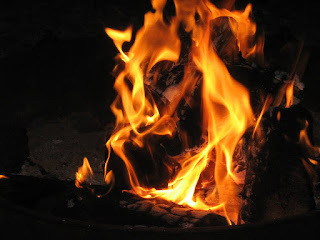 Theme: What do you see in the flames? The entries will be numbered by myself as they are received. No other identification will be given. The authors will be revealed only after the voting is complete. Please note 'flash fiction contest' in the subject line. Voting will open on January 28th. The winner will be announced on FEBRUARY 2nd 2016.